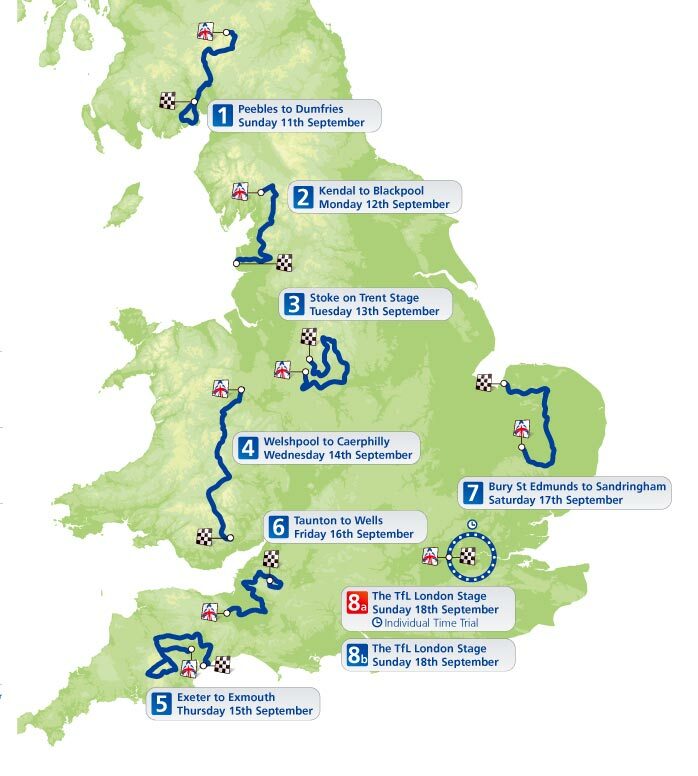 This year’s Tour of Britain route includes stages in Scotland, Wales and the north, midlands, east and south of England. It is perhaps the most inclusive route since the Tour of Britain returned in 2004, and includes a new split final stage in London with a morning individual time trial and concluding criterium stage around Westminster. As previously announced, the race will start in Scotland on Sunday, September 11. The opening stage will commence in Peebles and travel south to Dumfries. It’s a hilly route, but nothing that will tax the bunch too much. The race then travels south over the next three days, with stage two running from Kendal to Blackpool, stage three from Stoke-on-Trent to Trentham Gardens and stage four from Welshpool to Caerphilly. Stage four’s Welsh excursion looks set to be the toughest of the race, taking in part of the Brecon Beacons and Caerphilly Mountain – expect the overall classification to be shaken up here. Two West Country stages follow on after Wales, with stage five from Exeter to Exmouth and stage six from Taunton to Wells via Cheddar Gorge. It’s then a long transfer east for stage seven, from Bury St Edmunds and a royal finish at the Sandringham estate. The final day’s action in London on Sunday, September 18, is the revelation of this year’s race – a double header, with the inclusion of a 10km individual time trial in the morning and a 80km criterium stage in the afternoon. Both stages take place on the same 10km circuit between Whitehall and Tower Hill along the Thames – one lap for the TT, eight laps for the crit. The morning’s test against the clock will likely decide the overall classification and significantly alters the landscape of the race from previous years. With the race’s proximity to the 2011 World Championships and the inclusion of a TT, it’s pretty likely that the start list will include some of the world’s top riders wishing to hone their form. Six Proteams will take part in the event: Leopard-Trek, Garmin-Cervelo, HTC-Highroad, Rabobank, Vacansoleil and Sky. Along with Sky, British teams include Endura, Motorpoint, Raleigh, Rapha Condor Sharp and Sigma Sport-Specialized. A total of 16 teams will contest the race. Last year’s race was won by Swiss rider Michael Albasini from the HTC-Columbia (now HTC-Highroad) squad. 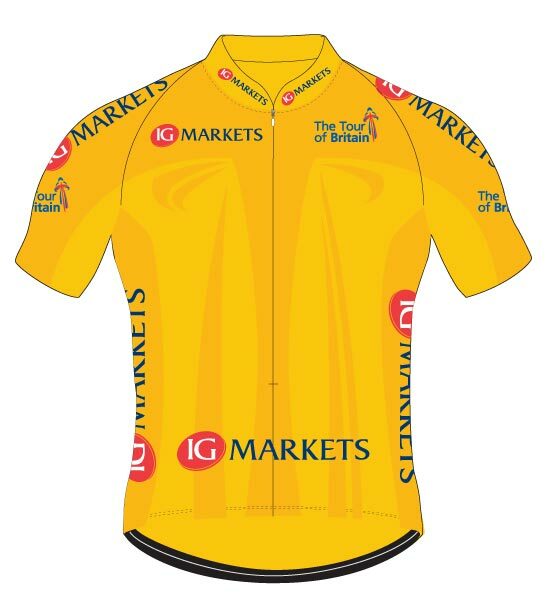 This year the leader’s jersey – awarded to the rider who has completed the race in the least amount of time – will change from yellow to gold, and is sponsored by IG Markets.